Don't you love those moments when you see an article of clothing in a window and you just know it's going to be amazing? This skirt was definitely one of those moments when I saw it at Honey. I'm not typically a fan of the high/low style but there was something about the pattern and material of this specific skirt that made me want to break my own rules. Paired with a ballerina tee or crop top, it's the perfect wardrobe item for summer weddings, events or a night out on the town. Have a moment all your own and check out the amazing spring collection at Honey. oh that skirt is stunning!! That skirt is INCREDIBLE. Definitely one of the best high-low skirts I have ever seen. Beautiful outfit, in love with your skirt! The cut of that top is so flattering! I love the pop the red shoes bring too! Great look! Ahh, your hair in the 6th photo makes me want to chop mine! It looks so cute this length! 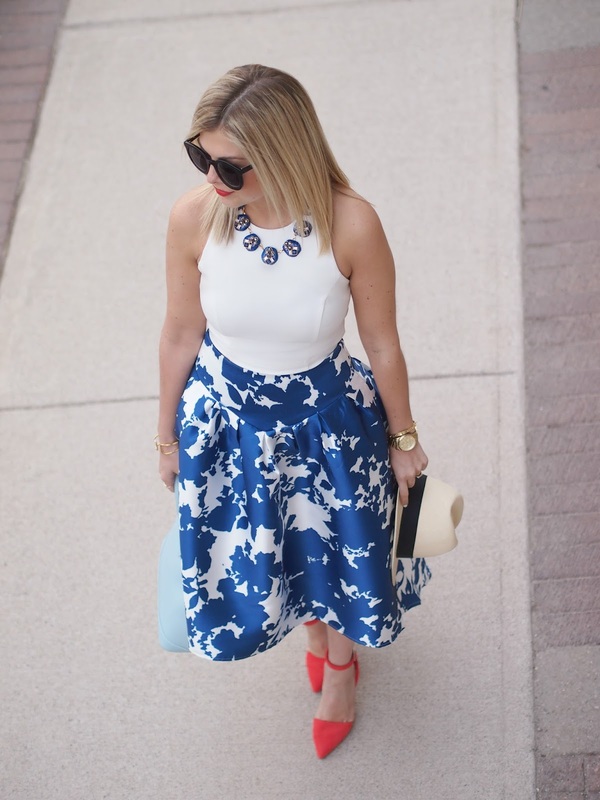 And loving this white & blue combo with pops of red! Too fab for words! Love it all! 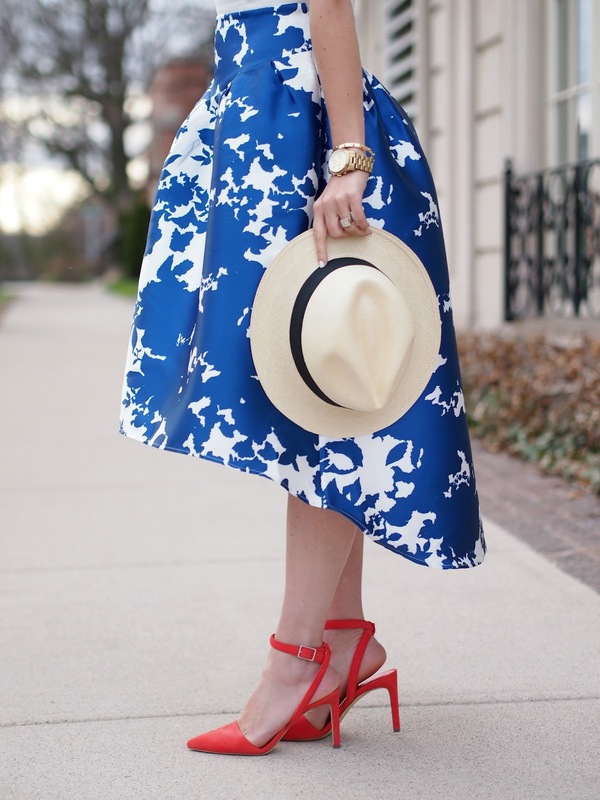 This outfit is Spring perfection!! The blue and white combo is so perfect and makes me think of a China pattern. :) The pop of red is super fun too! Oh wow! This is such an amazing, ladylike outfit! Love your necklace and skirt! You've always got great skirt game, girly! So cute! Love the pattern on that skirt! Your skirt is beyond fabulous! I'm not usually a high-low fan either, but this is so gradual it still looks really trendy and nice. And the pattern of that skirt is gorgeous! Such a great outfit! Amazing skirt!